"Modern physics is describing what the ancient wisdom keepers have long known. that we’re dreaming the world into being through the very act of witnessing it. Scientists believe that we’re only able to do this in the very small subatomic world. that we experience with our senses." 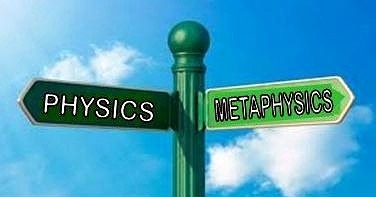 The words physics and metaphysics﻿ derive from the Greek words (physiká), meaning "physical" and (metá), ﻿ which means "beyond". In general use, the word physics has come to mean the study of the physical world and metaphysics the study of the non-physical or spiritual world. Yet, "meta" means “beyond” so it more properly could mean.... that which is beyond physics or that which is currently beyond understanding of physics. But as the study of astrophysics ﻿ and quantum physics﻿ has demonstrated, the more that we learn the more we realize that we do not know and in turn, how little we really do understand. 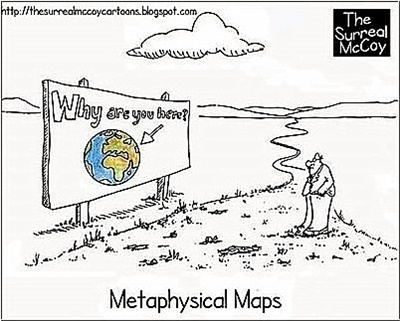 In its common usage, “metaphysics” ﻿ has become a label for any belief in other realms or realities and in one way or another, is commonly associated with forms of religion and spirituality. The result being that the common impression is put forward that such subjects as astrology or psychic phenomena, for example, are “beyond” the laws of physics and science in general. The tragic result has been that not only the public, but students of these subjects have been exposed to spiritual and religious charlatans who claim divinely inspired knowledge which their students or followers may gain only through a non-questioning adherence to their pronouncements. As scientific theories have advanced they have not proven to be in opposition to what are seen as “supernatural” ﻿ phenomena, but more often than not science has verified the phenomena empirically through repeatable scientific experiments such as the "double-slit experiment". 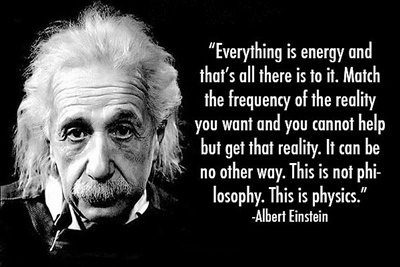 Einstein’s theory of relativity does not negate the theory of astrological influence and quantum mechanic does not negate the theory of psychic phenomena, instead they do just the opposite. Modern scientific theories actually open new avenues to explore in attempting to unify what are labeled as the natural and the supernatural realms. Both metaphysics and quantum mechanics are looking for the "nature of reality”, one starting from the inner spiritual realm, the other from the outer physical realm and physicists are often very open to the concept of unifying the two realms, as Fritjof Capra explains in his book “The Tao of Physics”﻿. Unfortunately, many in the religious community are not so open to this idea. They are not happy to have you discover, after having been able to convince you that they are the only ones through whom the Almighty will speak to you, that science may someday be able to give you his phone number. the parallels between quantum physics and eastern mysticism. such as altered states of consciousness. 'Oh, there is an order and a spiritual aspect to science. then the world would be crazy. Einstein was right; the world is crazy. Your consciousness affects the behavior of subatomic particles. and appear in all possible places at once. The universe splits into parallel universes in which all possible events may occur. 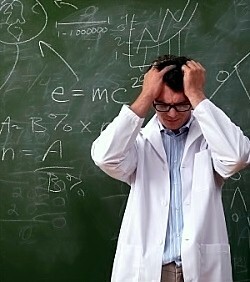 Question: "Is an electron a wave or a particle?" 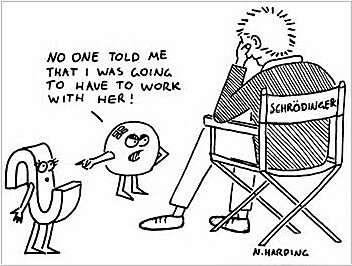 Question: "Is the electron here or is it there?" Question: "Which came first; the chicken or the egg?" 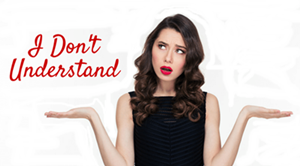 you haven't understood it yet. Einstein's theory of general relativity, (how everything bigger than an atom works), and the theory of quantum mechanics, (how everything smaller than an atom works), are two widely accepted and verified theories of physics. However, there's only one problem. They contradict each other! The theory of general relativity deals with physics on the macro scale of massive gravitational fields warping the space-time continuum. Quantum mechanics deals with the physics of sub-atomic particles and the interactions of matter and energy on extremely small scales. The crux of the problem is that general relativity describes a smooth continuum of space-time, but quantum physics describes distortions of space-time. Thus, these two well tested theories mutually exclude one another. To resolve this conflict a new and as yet experimentally untested unifying theory called "String Theory" has been advanced. 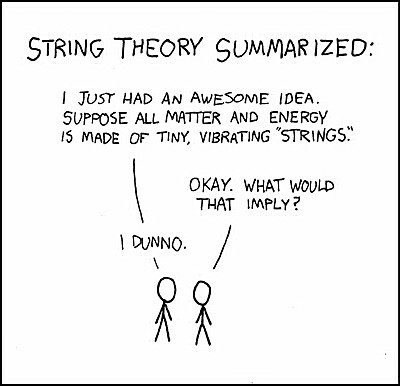 String theory attempts to unify the theories of general relativity and quantum mechanics by suggesting that the fundamental constituents of reality are small strings, vibrating at different frequencies and like vibrating violin strings producing notes, these vibrating stings produce particles such as electrons and photons, which do not exist at any one given fixed point and that split and absorb one another forming different particles. Which is similar to the idea, in Taoist thought of Qi (or Chi) energy. The concept of "Qi" (the "life-force") is based on the ancient Chinese initial understanding of natural phenomena and Qi is regarded as the most basic substance of which all creation is comprised. It is believed that Qi permeates everything and links all things together and even at molecular, atomic and sub-atomic levels everything in the universe results from the movements and changes of Qi and has traditionally been described as the vibratory nature of reality. ﻿. The problem is that the string theory predicts phenomena that have never been verified and by seeming unification of the two original theories it does not mean that the two older theories are a constituent part of the new theory. The new theory still has to satisfy the requirement that it is convergent with the older, proven theories in the areas in which the old theories were tested. And to make things even more confusing!